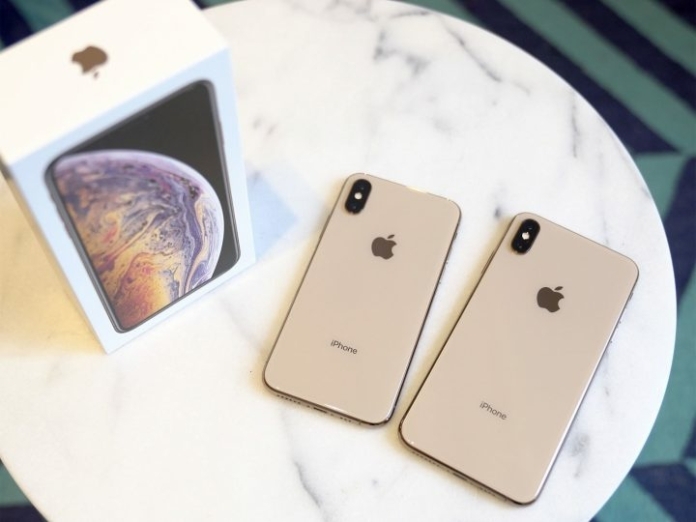 iPhone XS is currently one of the latest Apple iPhone, offering some of the most intriguing features. Aside from the OLED display, adequate storage space, an excellent camera, and the powerful A12 Bionic chipset, you can enjoy your time fiddling with the great features of this phone. That said, even when it’s one of the best phones, iPhone XS still comes with troubles. There are a number of iPhone XS users reporting issues while they are using this phone. If you are also in the same problems with you, knowing the quick fixes can help you tackle them easily. Some iPhone XS users have come across this problem on their device when they connect it with the charging cable for charging it. The issues might manifest in several ways. In some of the phones, the charging cannot initiate when the phone is in the sleep mode, for many, the charging process just gets started when turning on the screen. First, you should check if your iPhone XS has already run on the latest version of iOS 12.0 that Apple released for iOS devices. If you encounter problems while charging the phone, simply head to Settings> General > Software Update to ensure that your phone is installed the latest version. The charging issues can be fixed as soon as you go for a software update. The iPhone XS comes with Face ID instead of traditional Touch ID to let you unlock the phone. But, issues with Face ID are becoming common on this phone, while setting it for the first time. Checking a few methods below can help you fix this issue. 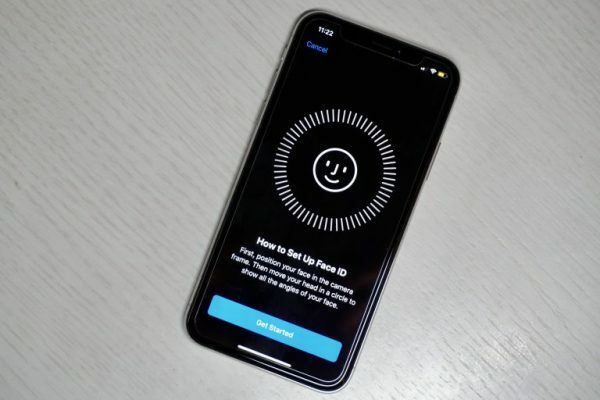 If your iPhone fails to register your face for Face ID option, you should first check whether you are scanning it in a good condition. If you face trouble with Face ID after setting it; and you find it difficult to unlock with your face, you should look at the screen actively so that the unlock can be done more easily. The phone needs your attention to work properly. The Face ID will learn your face after you set it up; so if your appearance has constant changes, the might not register it. If the issues still persist after this, you should contact Apple Support or bring your phone to an authorized service center. Some iPhone XS users have also noticed that the Wi-Fi and cellular speeds on their phone are slower than expected without any reason. On your phone, go to Settings> General, select Reset and choose Reset Network Settings. The process will reset all the Wi-Fi passwords on your phone and it could be good enough to get back the fast speed. Issues in the software can also be a reason, so it is worth checking if you are using the latest iOS version on your phone. During the launch event, Apple said that the iPhone XS featured Bluetooth 5.0 with a lot of improvement. With this Bluetooth option, you will get better speed and range that makes it easy for data transfer. However, similar to other features, this one still comes with the downsides. A number of iPhone XS users have faced trouble when connecting their phone with another Bluetooth device. If you stumble upon the same issue as well, a few steps below may take you out of trouble. Open Settings from the home screen, tap on Bluetooth and turn it OFF. After a few seconds, toggle on the switch ON again. If disabling and enabling Bluetooth does not solve the issue of connectivity, you can go for updating your iPhone XS to the latest version and check if the problem is already gone. To update software, navigate to Settings> General and tap on Software Update. After that, download and install the update if it’s available. 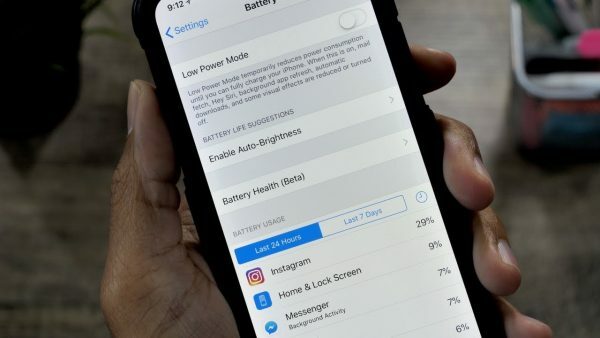 Apple has been working hard to improve the battery life on their iPhones over the years, but it appears that the company has a long way to go. In IOS 12, there is a useful feature, called Battery Health that could show up the breakdown of the battery usage. However, several iPhone XS owners are still complaining about fast battery drain from this phone. Finding out the ways in which the charge may run out and checking the quick fix can help. Head to Settings> Battery section and you will see a list of all the apps that have consumed the power of your phone. Just find out ones that are killing the charge on your iPhone XS and shut them down. Simply go to Settings > General > Background Refresh App. From there, toggle the switch off and you will see the battery life on your phone is improved clearly. Backing up your phone using iCloud or iTunes is also a good way to overcome the issue of fast battery drain. Although the OLED display on iPhone XS is attractive, it is susceptible to the burning in issue. If your iPhone XS’s display is left on for a long time, you could see the static images like the app icons that burn onto the screen. It might have an impact on your phone if you are not careful. While software update can get rid of this issue, there are still ways to make sure that screen burn-in no longer appears again. Head to Auto Lock section to select a shorter “turn off” time. Open up the Control Center from the top right of your phone and adjust the brightness manually through a screen slider. After that, you should enable the Auto Brightness by going to Settings > General > Accessibility > Display and Accommodations. The common fixes for solving issues on iPhone XS are pretty easy and you can give them a shot. Simply solutions, like restarting, installing the updates and resetting the phone, can get rid of these issues you are encountering. You can also visit the Apple support center for further assistance if you cannot apply these quick fixes.